The reselling of properties in the Burj Khalifa has increased by nearly a third since the start of the year as handovers begin and final payments become due, Arabian Business has learnt. “According to our data management figures, we’re seeing a 30 percent increase in Burj Khalifa secondary sales,” Emma Cullen, director of customer care and data management at UAE-based agents Better Homes, said. 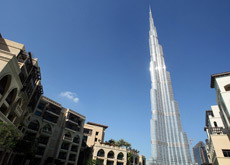 The world’s tallest building was officially opened on January 4 and Emaar has begun the handover of properties, starting with the lower floors. Liz O’Connor, director of residential sales and leasing at Better Homes said that she has seen some distressed sales entering the market, especially as the final payments on properties becomes due. “There are some distress sales in the market… We have seen secondary Burj Khalifa properties coming on line; for many owners the final installment is due to be paid shortly which is promoting some to sell,” said O’Connor. “In addition, the maintenance fees are also expected to be quite high which has contributed to their decision to try and sell,” she added. 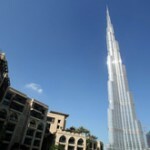 Buyers’ asking price has also seen a decline and Marcello Sambartolo, head of marketing at the propertyfinder.ae real estate listings website, said that since January the asking price for studios in Burj Khalifa has dropped 20 percent, while two-bedroom apartments have seen prices fall by around five percent. However, one-bedroom apartments have bucked the trend and they have actually seen a rise of twenty percent in asking prices. The website currently has 25 properties for sale in Burj Khalifa, including a full floor with a starting price of AED90m ($24.5m). Located above the 90th floor and 15,384 square feet in size, the residential floor has a mix of one, two and three bedroom units and is currently owned by an Iranian buyer who is looking to flip the property for a profit. “You have people who will sell for less but it is not really distressed but they are still making a premium as it is above their original price,” the agent from Allsopp and Allsopp who is handling the sale told Arabian Business. “We do get a lot of interest but people want to pay too low prices and the sellers won’t come down yet,” the agent said, and added that the majority of interest was mainly coming from Iranian, Indian and Chinese buyers. Who Is Trump’s New Year’s Eve Guest And Billionaire Pal From Dubai?